I’m at the point in my book where I can’t fit everything in. So, it can overflow here! The “School of Names” (mìngjiā) is one of the also-rans of ancient Chinese philosophy— they didn’t make a big splash at the time, and unlike (say) the Mohists, they don’t appeal any better to modern tastes. Anyway, perhaps their best known piece is 白马论 Bái mǎ lùn (White Horse Essay), by 公孙龙 Gōngsūn Lóng, which attempts to prove that a white horse is not a horse. It’s a little reminiscent of Zeno proving that movement is impossible: one can admire the argument and even be perturbed by it, but feel that surely if the dude believes it for reals, he’s confused at best. Anyway, I decided to attempt a translation, since the Old Chinese (OC) here is not (generally) too hard, and because at least half of it is pretty amusing. It’s written as a dialog; to simplify things I’ve divided the lines into blue and red. My comments are in black. The original text and Donald Sturgeon’s translation are here. If anyone wants to criticize my translation I’d be happy to take corrections! Bái mǎ fēi mǎ, kě hū? Can it be said that a white horse is not a horse? OC has no copula, but it does have a negative copula, fēi. (Wikipedia makes a big deal of OC not having a separate adjective class— words like bái are more like verbs— but nothing in the essay depends on this; bái mǎ works just like “white horse”. Mǎ zhě, suǒyǐ mìng xíng yě; bái zhě, suǒyǐ mìng sè yě. Mìng sè zhě fēi mìng xíng yě. Gù yuē:“Bái mǎ fēi mǎ”. Zhě is a nominalizer, so if you see something like mǎ zhě you can take it as “horsiness”, or “being a horse”, or (as is probably meant here) “the concept ‘horse'”. You’ll notice yě a lot here; it’s a factual evidential, but (I think) pretty weak in meaning. Yǒu bái mǎ, bù kě wèi wú mǎ yě. Bù kě wèi wú mǎ zhě, fēi mǎ yě? Yǒu báimǎ wèi yǒu mǎ, bái zhī, fēi mǎ hé yě? Having a white horse, that can’t be called having no horses. The state of not having no horses, is that not a horse? Having a white horse means having a horse; a white one, how is it not a horse? Blue doesn’t bother to address Red’s first sally. He makes the common-sense argument that having a white horse certainly means having a horse. Qiú mǎ, huáng, hēi mǎ jiē kě zhì; qiú báimǎ, huáng hēi mǎ bù kě zhì. If you ask for a horse, a yellow or black one can be sent; if you ask for a white horse, a yellow or black one cannot be sent. Shǐ bái mǎ nǎi mǎ yě, shì suǒ qiú yī yě. Making “white horse” the same as “horse” makes both requests the same. Suǒ qiú yī zhě, bái mǎ bù yì mǎ yě; suǒ qiú bù yì, rú huáng, hēi mǎ yǒu kě yǒu bù kě, hé yě? If the requests are the same, then a white horse is not different from a horse; if what is requested is no different, why is that a yellow or black horse is possible in one case but not the other? Kě yǔ bù kě, qí xiāng fēi míng. Possible and not possible, clearly these are different! Gù huáng, hēi mǎ yī yě, ér kěyǐ yīng yǒu mǎ, ér bù kěyǐ yīng yǒu bái mǎ. Thus yellow and black horses are the same, in that one can say that there is a horse, but not that there is a white horse. Shì bái mǎ zhī fēi mǎ, shěn yǐ! Indeed we have shown that a white horse is not a horse! The quickest route to success is to show that “horse” and “white horse” are not the same thing. And they’re not; Red gives a real-world example where the two are not equivalent at all. They refer to different sets. In one sense she’s won: she’s shown that “white horse” is not identical to “horse”. Yǐ mǎ zhī yǒu sè wéi fēi mǎ, tiānxià fēi yǒu wú sè zhī mǎ yě. Tiānxià wú mǎ kě hū? If a colored horse is not a horse, then since the world has no colorless horses, do you say that the world has no horses? Mǎ gù yǒu sè, gù yǒu báimǎ. Horses definitely have colors; thus there are white horses. Shǐ mǎ wú sè, yǒu mǎ rú yǐ ěr, ān qǔ bái mǎ? If horses had no color, then only “horses” exist; how could you look for a white horse? Gù bái zhě fēi mǎ yě. Thus a white one is not a horse. Bái mǎ zhě, mǎ yǔ bái yě; mǎ yǔ bái mǎ yě, gù yuē: Bái mǎ fēi mǎ yě. A white horse is horse-and-white, horse-and-white-horse. Thus I say, a white horse is not a horse. Blue doesn’t seem to understand (or just ignores) Red’s point. He keeps insisting on the point that if you have a white horse, you have a horse. 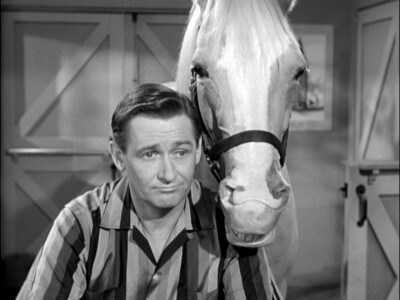 But that doesn’t prove much— you could equally say that if you have a white horse, you have a mammal. A horse is-a (is a member of the category) mammal, but “horse” and “mammal” are different concepts. Red says as much in the last line— “white-horse” and “horse” are two different concepts. Neat word derivation: Tiānxià “(what is) under heaven” = “the earth”. Translators: always remember OC is trying to play gotcha with you. In this case it uses 耳 ěr which is usually ‘ear’, but in this case means ‘only’. Similarly 足 zú is normally ‘foot’ but sometimes means ‘enough’. Mǎ wèi yǔ bái wéi mǎ, bái wèi yǔ mǎ wèi bái. horse not.yet with white make horse / white not.yet with horse make white. A ‘horse’ not yet with ‘white’ makes a horse; ‘white’ not yet with a ‘horse’ makes white. Hé mǎ yǔ bái, fù míng bái mǎ. Combining horse and white is the compound name “white horse”. Shì xiāng yǔ yǐ bù xiāng yǔ wéi míng, wèi kě. Gù yuē: Bái mǎ fēi mǎ wèi kě. Thus I say, “A white horse is not a horse” cannot be. I give Sturgeon’s translation for one sentence as I couldn’t figure it out. I’m also not sure what Blue is saying, except that he’s trying to point out that “white horse” is a combination of concepts. What we’d like him to say is that A^B implies A, but he still wants to deny Red’s contention. Yǐ “yǒu bái mǎ wèi yǒu mǎ”, wèi yǒu bái mǎ wèi yǒu huáng mǎ, kě hū? Given “having a white horse is having a horse”, does that mean having a white horse is having a yellow horse? Yǐ yǒu mǎ wèi yì yǒu huáng mǎ, shì yì huáng mǎ yú mǎ yě; yì huáng mǎ yú mǎ, shì yǐ huáng mǎ wéi fēi mǎ. Given “having a horse is having a yellow horse”, then a yellow horse is different from a horse; if a yellow horse is different from a horse, then a yellow horse doesn’t serve as a horse. Yǐ huáng mǎ wéi fēi mǎ, ér yǐ bái mǎ wèi yǒu mǎ, cǐ fēi zhě rù chí ér guān guǒ yì chù, cǐ tiānxià zhī bèi yán luàn cí yě. To take yellow horses as not horses, and yet take white horses as being horses, is to have flying things in the water and the inner and outer coffins in different places; this is perverse and random speaking. Yǒu bái mǎ, bù kě wèi wú mǎ zhě, lí bái zhī wèi yě. Having a white horse cannot be called having no horses; this is called separating out whiteness. Bù lí zhě yǒu bái mǎ bù kě wèi yǒu mǎ yě. Without separating it, having a white horse can’t be called having a horse. Gù suǒyǐ wéi yǒu mǎ zhě, dú yǐ mǎ wèi yǒu mǎ ěr, fēi yǒu bái mǎ wèi yǒu mǎ. Thus why it’s taken as having horses, it’s only because horses make for having horses, and it’s incorrect to say that having a white horse makes for having horses. Gù qí wèi yǒu mǎ yě, bù kěyǐ wèi mǎ mǎ yě. Thus if it’s taking as having horses, you can’t call a horse a horse. Not sure I follow Blue’s point, but let me point out the interesting word 为 wéi. The root meaning is “make, do”; in Dàoism they highly value 无为 “not-doing”. You can also use it in the sense of “act as, fulfill a role”, which is how I think it’s being used here. And that in turn is not far from being a copula “be”. Though in fact that’s not where Mandarin’s copula comes from… it comes from 是 shì ‘this’. Bái zhě bù dìng suǒ bái, wàng zhī ér kě yě. Whiteness does not determine what is white— this can be neglected. Bái mǎ zhě, yán bái dìng suǒ bái yě. “White horse” speaks of whiteness determining what is white. Dìng suǒ bái zhě, fēi bái yě. What determines what is white, is not whiteness. Mǎ zhě, wú qù qǔ yú sè, gù huáng, hēi jiē suǒyǐ yīng. “Horse” does not specify a color; thus a yellow or black horse is acceptable. Bái mǎ zhě, yǒu qù qǔ yú sè, huáng, hēimǎ jiē suǒyǐ sè qù, gù wéi bái mǎ dú kěyǐ yīng ěr. “White horse” does specify a color; thus yellow and black are removed by their color; only a white horse can be accepted. Wú qù zhě fēi yǒu qù yě; gù yuē:“Bái mǎ fēi mǎ”. Again pointing out differences in behavior or implication between “white horse” and “horse”. I thought we’d established that a few bamboo strips ago, but you can never have enough supporting arguments in philosophy. Blue apparently backs away slowly at this point— we never learn if he was convinced.